What is bison grass? Is it actually grass? No. It’s a herb. Hierochloe odorata or Anthoxanthum nitens, also known as sweet grass, holy grass (UK), manna grass, Mary’s grass, seneca grass or vanilla grass, is an aromatic herb native to northern Eurasia and North America. In Poland it is known as bison grass. 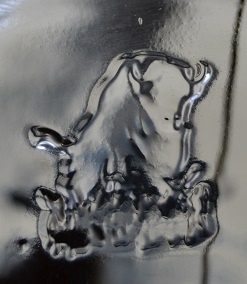 It is used in herbal medicine and in the production of distilled beverages(e.g., Żubrówka, Wisent). It owes its distinctive sweet scent to the presence of coumarin. This variety of buffalo is different from the species of grass commonly known as ‘buffalo’ ( ’Stenotaphrum Secundatum ’) in Australia. 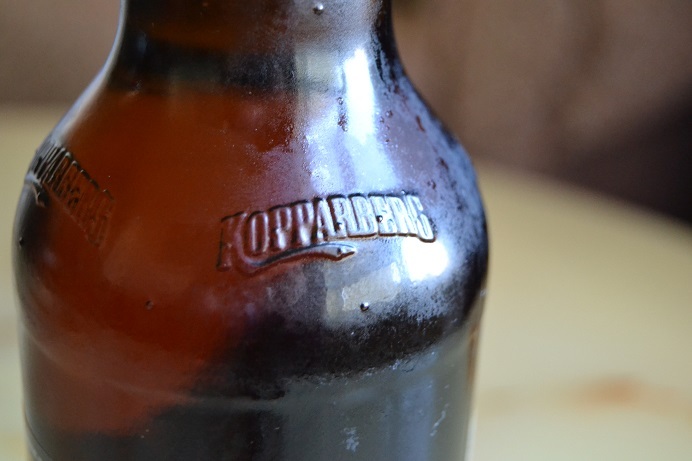 On the side of the bottle is a measure of how much is left as if there is some need to be certain of how much you have left. 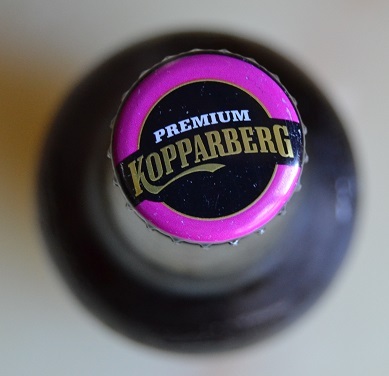 Consumption of another person’s alcohol is a serious matter though I think due to the pale yellow colouration of the fluid and the clear glass of the bottle most people prone to marking the content levels would be satisfied using a marker on the bottle. 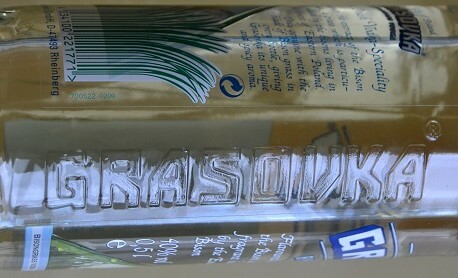 The bottle is quite unique and no doubt drove up the production costs needlessly compared to other bottles of zubrowka I’ve seen online afterwards. 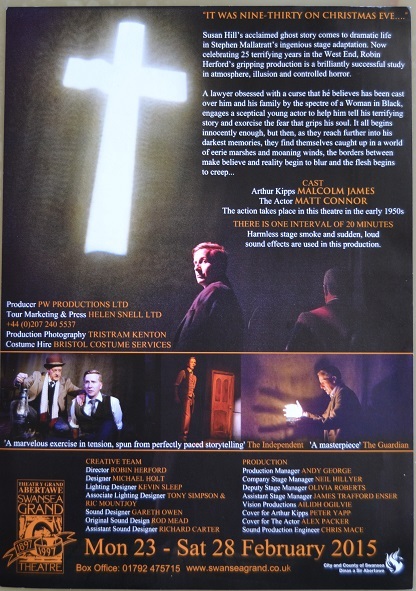 … Okay so I return to it after a week with a cold and so give reviewing it another go. Swill it around my mouth. Much nicer. Stings the tip of my tongue. Maybe I have been biting the tip of my tongue recently. I accidentally bit the inside of my cheek a few days ago… I take another break before continuing. So using some Tesco 100% pressed apple juice I shall try it this cocktail of flavours to experience zubrowka in it’s truest form! WOOHOO good stuff! Not in the way that alco-pop and WKD try to completely eliminate the taste of the alcohol but instead this cocktail leaves a remaining ‘sense’ of the wodka’s taste and instead, acceptably, takes away the edge of the ‘burning’ effect when it was served neat. Need to be careful of how much to drink as it is 40% proof. ‘But it goes down so easy?’ you say. No, no, you must temper yourself young stallion for this is the way of the dark side and the first step in becoming a stereotype like the ‘tired and emotional’ Boris Yeltsin who could not get off a plane when stopping over in Ireland in September 1994. Get the buzz, maintain the buzz, but do not give into the temptation of thinking drinking more immediately will indefinitely increase the buzz! Resist becoming so numb you forget yourself. 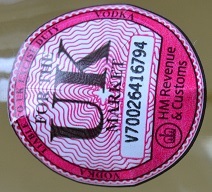 Of course at this point it is important to note Polish wódka, Russian vodka and Ukrainian horilka are not ‘all interchangeable and basically the same apart from where they were made’. Oh no, no, no… never say that… Not unless you want a lecture about who came up with it first and how the others are just inferior versions of one another (and even then not accounting for the Estonian, Latvian, Lithuanian and Czech variants)! That is like saying all Whiskey is the same… well except Jack Daniels which is actually bourbon but got around to being called a whiskey for one reason or another due to Tennessee laws definitions of what whiskey is. Good stuff but the price is higher than many of the other vodkas on the shelves locally… Likely because it is a ‘premium zubrowka’, the cost of export and it’s unique selling point as ‘bison grass flavoured’ as there are not many other bison grass flavoured vodkas, if any, available at local British supermarkets. Unfortunately this makes it too big an investment for casual consumers, used to paying about half that for vodkas, to risk trying it straight off the shelf without prior knowledge (Unless they are prone to wanting to try random things like myself). It was good to try but there are other things to taste so I shall just chalk it up with the following summary: An interesting taste and worth trying but the next time I go to M&S I won’t be rushing to see if they have it in stock unfortunately (unlike the plum flavoured sake I adored and bought two bottles at a time until they stopped stocking it!). I would definitely try it again though given a chance and if offered it would be very glad to taste it once more… preferably with a good apple juice of course. 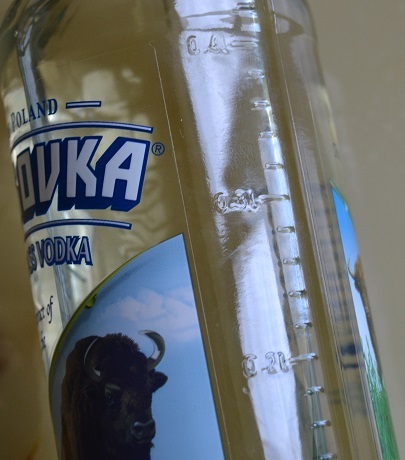 On a side note I know that the Oddka brand vodka do a ‘grass flavour’ of their range and had looked at the bottle previously to see if that was bison grass flavour but I don’t remember there being any information regarding it except it was ‘grass flavour’ which was overly vague. Perhaps somewhere down the line I shall try that one and review it as I believe it is only about £8 a bottle since it is British produce. 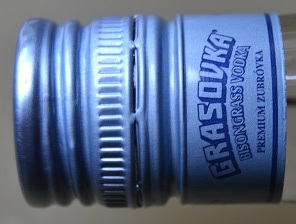 Flavoured with the extract of the Bison grass blade, a grass which is particularly valued by the bisons living in the forest of Eastern Poland. 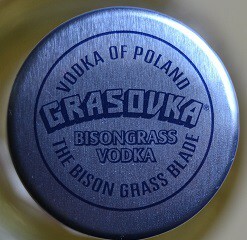 Only genuine with the blade of Bison grass in every bottle, giving Grasovka its unique and spicy aroma. Well I was away for a few days, weeks, whatever… had a cold and work things that needed to be prioritised. An interesting fact I discovered was that Żubrówka is the name of the fictional country in The Grand Budapest Hotel. 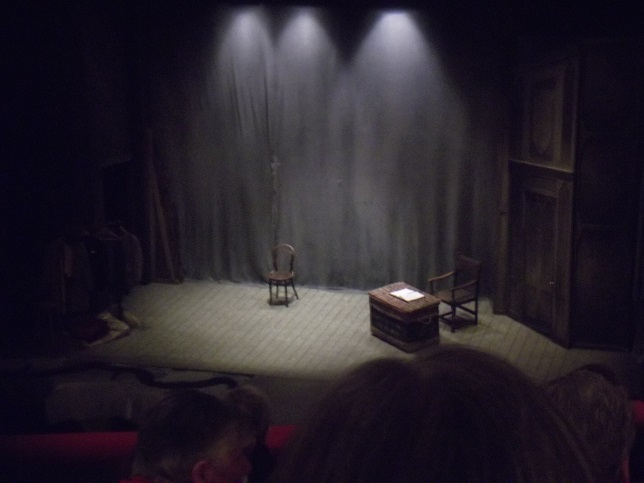 Next time hopefully some theatre reviews. At the moment there is a 2 for 1 promotion at Marks and Spencer so it cost £1.5 for 18 biscuits (there are 9 biscuits per 150g pack). A buttery, crumbly, shortcake biscuit half dipped into milk chocolate. 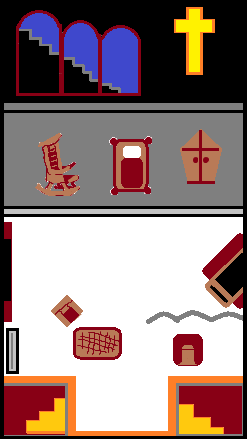 It is packaged in some corrugated cardboard under the plastic wrapper to preserve the biscuits which are quite fragile. Even with this preventative measure you will still find a bit of crumbling but it is minimal. These are quite an ‘afternoon tea’ kind of biscuit. They arequite savoury and pleasant. I really liked them but, as each biscuit is individually quite large, you will likely find yourself going through them quite quickly unless you consciencly ration them. One buscuit by itself would seem excessive if served with a cup of tea so I am not sure under what circumstances they expect you to ue them except as part of a selection at an afternoon tea. INGREDIENTS: Wheatflour (contains Gluten) – Vegetable Oils (Palm Oil, Rapeseed Oil) in varying proportions – Sugar – Milk Chocolate (15%) (Sugar – Cocoa Butter – Cocoa Mass – Dried Skimmed Milk – Butter Oil (Milk) – Dried Lactose (Milk) – Emulsifier: Soya Lecthin – Vanilla Flavouring) – Butter Oil (Milk) – Dried Whey Solids (Milk) – Salt – Raising Agent: Sodium Bicarbonate, E450 – Lemon Peel – Acid: Citric Acid – Modified Potato Starch. Milk chocolate contains Cocoa Solids 30% minimum, Milk Solids 20% minimum. Not suitable for Nut and Sesame allergy sufferers due to manufacturing methods. STORAGE For Best Before, see front of pack. Store in a cool, dry place. Once opened, store in an airtight container. … No actually there are one or two drinks lined up as well so for the following week so this is the current theme for this blog but it will return to normal next weekend. After they are done we will be back on track with a few live performance reviews (a few weeks too late to be of immediate relevance) and maybe one or two other random things. £2 for one box but £3 if you take advantage of the ever present offer from the M&S range of premium biscuits. Very rich tasting and the chocolate chunks melt in the mouth. Strong enough you could dip it in tea if that was your thing but crisp enough to have a satisfying bite. Not as soft and chewy as fresh made biscuits of this sort but that is in its favour as they can seem doughy. The chocolate almost instantaneously melts in your mouth as you chew it releasing its rich flavour. Definitely a better all-round biscuit than the crystallised stem ginger ones I bought with them. An indulgent item which lives up to its name. But onto the important bit and provide you with the box information so you are not stood in the store reading off ingredients and coming across as a bit too obsessive about your diet. Personally I find that with the more enjoyable taste you are also going to pay by it being that much worse for you nutrition wise. This is a ‘treat’ kind of biscuit not something you should be eating every day. Chocolate cookies with chunks of dark, milk and white Belgian chocolate half coated in Belgian dark chocolate. Not suitable for nut allergy suffers. Ingredients: Wheatflour contains gluten, Calcium Carbonate, Iron, Niacin, Thiamin) Belgian Dark Chocolate (17%) (Sugar – Cocoa Mass – Cocoa Butter – Emulsifier: Soya Lecithin – Vanilla Flavouring) –– Butter (Milk) – Belgian Dark Chocolate Chunks (13%) (Sugar – Cocoa Mass – Cocoa Butter – Emulsifier: Soya Lecithin – Vanilla Flavouring) – Sugar – Belgian Milk Chocolate Chunks (8%) (Sugar – Dried Whole Milk – Cocoa Butter – Cocoa Mass – Emulsifier: Soya Lecthin – Vanilla Flavouring) – Belgian White Chocolate Chunks (7%) (Sugar – Dried Whole Milk – Cocoa Butter – Dried Skimmed Milk – Emulsifier: Soya Lecthin – Vanilla Flavouring) – Golden Syrup (Invert Sugar Syrup) – Fat Reduced Cocoa Powder – Raising Agent: E450, Sodium Bicarbonate, E503 – Salt. Belgian Dark Chocolate contains Cocoa Solids 46% minimum. Belgian Dark Chocolate Chunks contain Cocoa Solids39% minimum. Belgian Milk Chocolate Chunks contain Cocoa Solids 25% minimum, Milk Solids 14% minimum. Belgian White Chocolate Chunks contain Milk Solids 25% minimum. 125g along side one of those scannable code things and a recycling ying yang arrows sign. Recyclable Carton – Paper – Widely recycled. The other box of biscuits along with the ones that had gigner in them. I prefer these ones although the pieces of crystalised ginger were very nice in the others. Marks and Spencers really want you to know how dedicated they are to their civic duty of recycling. Next time on the misadventures in blogging… we will see. 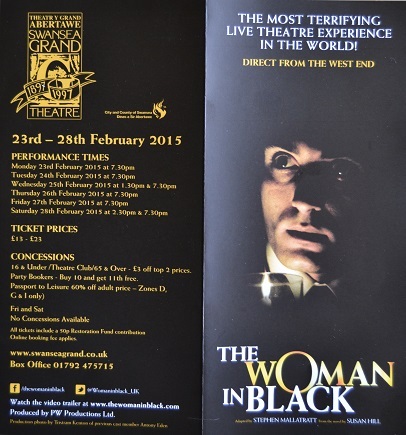 Hopefully on the weekend get around to reviiewng the stage production of The Woman In Black I saw recently. Today I was waiting to be served when I heard the checkout staff having a conversation. Troll Girl – about 4 foot tall, rectangular head with greasy blonde hair pulled back in a tight ponytail. She wears a red t-shirt with baggy trousers and has the bored yet dazed expression of cattle. He voice is low and ejaculated in the warped guttural growl caused by speaking the patois of the valleys. She is ageless. I would guess early twenties but she could be anywhere between 16 to 40 her features are of such a strangely timelessly blank setting. 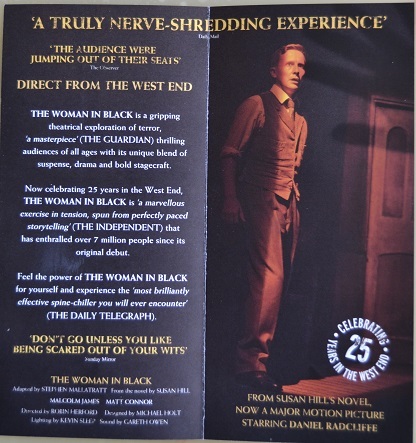 Young Man – About 5 foot 9 inches, so not ‘manly tall’ but sufficiently enough he towered over the girl. An oval face with a gelled Mohawk hairstyle and skin slightly too pink as if he had used defoliating pads excessively. Wears a black buttoned up shirt and matching trousers. He is likely in his early 20s but could be younger. YM: Dunno, they just asked me. TG: You gonna weara rented tux like you said you was? You gonna cumin an’ show me it before you go? YM: (visibly uncomfortable) Um… no I will probably go straight there since its straight after work and I’ll only have enough time to get ready before leaving. Sometimes I wonder if people don’t know how to respect co-worker’s boundaries. Often I think I am perhaps asking too much of co-workers sometimes but, on the other hand, it is to show an interest in them as an individual outside of being a co-worker and often I just hope it sparks a conversation over potential common ground we may not have been aware of otherwise. More often than not I feel like I am being needlessly nosey though. Maybe I am… I hope not…The girl seemed needlessly intrusive and passive aggressive. I got the impression the guy had been invited to something prestegious so there was a bit of projected jealousy being taken out on him needlessly. … Saying that he put a bottle of barbeque sauce in with my new, light coloured, coat so I can’t give him that much sympathy as cruel as it sounds. Decorum and all that hey what old chap. Bit of the old common sense. Buying a new coat here – wouldn’t mind having an extra bag to ensure I don’t need to risk returning with a complaint of ‘the reason the coat is damaged is your staff don’t practice due care in their duties’. Probably would fight tooth and nail not to give a refund, replacement or credit note. Kind of get the impression it could be that kind of place. We have to pay for carrier bags in shops here in Wales in case you were unaware. 5 pence per carrier bag they charge! Where does that money go? The government told businesses to charge for bags but not what to do with the money they take for them. Some give it to charity while others treat it as an extra bit of profit. It was meant to put people off wasting plastic bags or littering with them, in order to aid national recycling efforts, but it seems to have had no real effect except that one time a celebrity was seen with a give-a-way fabric bag and crowds flocked to have one of their own as conscientiously dedicated followers of fashion. Yes I had nothing to write today… thus you get a little bit of rambling but then what did you expect to find on a blog called ‘Rambling At The BridgeHead’? Tomorrow… Who knows what I will write. Something more interesting hopefully. When you were born it was I who kept your parents warm in this cold heartless world. When you were little they warned you about me. They warned you how I would hurt you even though I was pretty. They told you, though I gave you light and warmth, I would take my tariff if you ever tried to touch me wouldn’t I? November 5th they brought you to me in the darkness outisde to celebrate a dead man. They lit the sky with my little colourful brethren who they happily sacrificed for their entertainment. A gloriously brief death for those you use for your amusement. When you were a little older they left you alone and you sought after me in curiosity. That look in your eyes was my fuel. They found us hidden away together and scolded you, told you that I would burn you in my embrace, but you didn’t listen. In the garden they would still call me to get rid of their unwanted things, but you, you they wished to keep with them and so they kept us apart. Summer came and you had no need for me so I was abandoned. In winter you all locked yourselves inside with me. Watching me. Feeding me. Without me you and everyone like you would have been dead a long time ago. But still you fear me though I was enslaved by you. Years passed but you never forgot about me did you? Me? I was there waiting in the dark alone until next we would meet. ou would have seen me if you ever looed. Sometimes in summer you would call on me to cook you food outside and every November without fail we would meet again amongst the crowds. But now you kept your distance as if afraid of me. My desire for you smouldered but you were so cold towards me. Had I done something wrong? Was the burning passion between us truly gone? One day you let your guard down and I entered your house. I found you sleeping and the consummation of our love took your breath away. When it was your funeral they delivered you to me in a wooden box made just for you. How intense our final moments were together as we both let our flame extinguish finally. Ashes to ashes. Dust to dust. Amen. I forgot I was going to try and post daily this week. Here is a short vignette I wrote a long time ago. It is a very rough first draft so I am not pleased with it but then I doubt I will ever bother to revisit the concept and tidy it up without some incentive. Fire is associated, in concept and symbolism, with passion and intensity of emotions amongst other things. I am sure someone has written something like this before. No doubt one if the classics of literature is on this subject as its one of those things that seems so obvious a concept for practising your writing style. Comments or likes are always appreciated if you read this or anything else. I changed the look of the blog a few days ago. What do you think? I’m not sure the Gibson girls thing was the best idea to be honest. … and just to have a video associated with the topic.